Birmingham Festival Choral Society, CBSO Young Voices and Atherstone Choral Society have teamed up to perform a concert reflecting the circle of life from a Native American point of view. 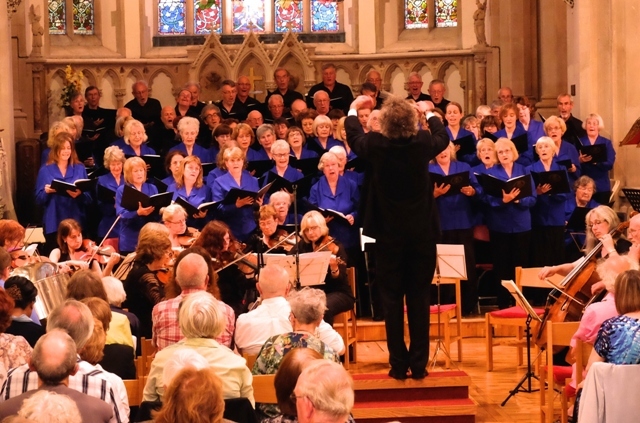 Birmingham Festival Choral Society performs at a concert based on the circle of life. Photo Ash Kahn. Circlesong, by Bob Chilcott, will be the centrepiece of the concert in the new Elgar Concert Hall at University of Birmingham on March 21 at 7.30pm. The musical piece reflects a complete life cycle, based on Native American writings. Eleanor Rivers, from Birmingham Festival Choral Society, says: "The idea of a life cycle came from the text of a Native American song, 'Song for bringing a child into the world'. This was written on the page in a circle shape, emphasising the constant circle of life with its repetitions, patterns and rhythms. 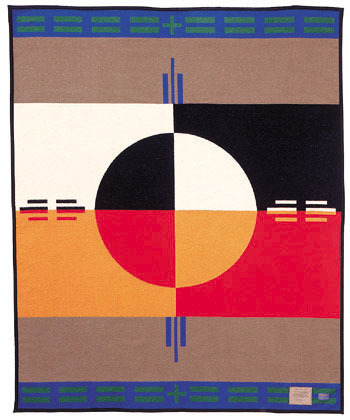 She continues: "Each movement focuses on a different stage of life, from birth and childhood through adulthood and middle age to death, taken from Navajo, Chinook, Dakota, Eskimo and Sioux texts among others." The Circle of Life theme is from Native American works. The work has been written for two choirs, a wide variety of percussion instruments and two pianos. Audiences will hear tribal rhythmic sections along with contrasting tender, simple melodies and glorious climactic moments with the full choir in the performance featuring conductors David Lawrence and Patrick Larley. Circlesong was originally commissioned jointly by Birmingham Festival Choral Society and CBSO Young Voices. The two choirs gave the world premiere in Birmingham's Adrian Boult Hall in April 2004. Bob Chilcott is a popular composer with choirs and their audiences, having himself been a choral scholar at King's College, Cambridge and a member of the well-known King's Singers. The concert will also feature other choral and percussion works that chime with the theme of the night. Pieces include 'O fortuna' from Carl Orff's popular and exciting Carmina Burana, Ben van Tienan's 'Find my Way', and works by Maxwell Davies and Gerald Finzi. They are also available t buy in person at Town Hall/Symphony Hall Box Offices.